10 Responses to Is there an appetite for further Enlightenment? I have just become aware of your Enlightenment project to my great disappointment has it comes to a close! I am the Operations manager for the People’s History Museum in Manchester and a practicing artist and my current work his inspired by the Industrial Enlightenment. 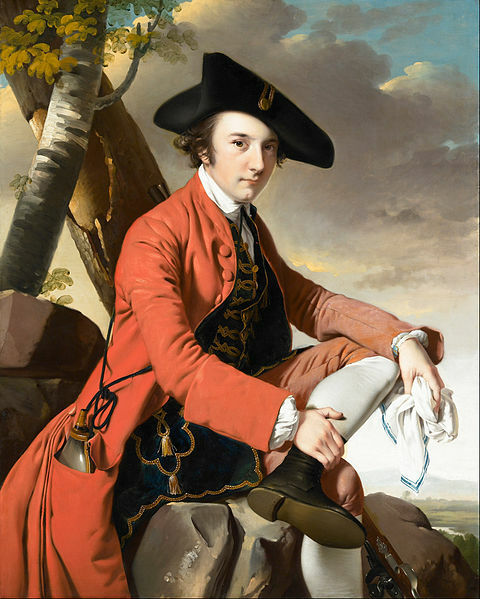 I know the Joseph Wright Paintings and another disappointment was to miss the large exhibition of his work at the Walker a few years ago which to be fair did predate my current interest. I was in Prague last week and a friend showed me the amazing Joseph Wright painting Peter Perez Burdett and his Wife. I was curious to know why such a painting should end up in Bohemia.I had only come across Burdett has a footnote to the Lunar Society so had to do some research. He appears to be an amazing character, there must be a book there to be written. Burdett shows the amazing circle of contacts and influences between the Industrial midlands and Liverpool in the Eighteenth century. I must say it is really exciting to live and work in an area, my son lives in Stafford, with such a huge variety of historical significance, from the potteries, to Lichfield and Derby and Matthew Boulton and James Watt at Soho in Birmingham and of course Liverpool. It would be great if you can get a further project up and running. For myself I have an aspiration to put some sort of exhibition of my work to display at a site or museum of significance to the Enlightenment, perhaps Darwin House or Soho or Derby? That’s always the case – missing the exhibition. Not to worry – at least Wright of Derby is in safe hands with Lucy bamford at Derby Museums – do get in touch with her. I haven’t seen the picture in prague, but I know that it is given one whole wall just to itself – fantastic. It is a really informative picture about their relationship. Lucy will know why it is in Prague. If you are really into this, then you may like to purchase the project’s catalogue, available by mail order (great Xmas present), and fingers crossed, if there is sufficient real interest we will try to put together a new Collecting Cultures bid. Have purchased the catalogue, in the post has we speak. Look forward with anticipation. I must admit that I think the historical significance of the whole industrial enlightenment is certainly not had the recognition it deserves.I have always had an interest in history and particularly art and I must admit it was not until very recently that I really became aware of the amazing personalities and undertakings of this area in the period. Came across the Jenny Uglow book, Lunar Men after reading one of her other books and that was it. Incredible times. Yes the Joseph Wright picture in Prague really has pride of place. The whole wall at the end of a long gallery, grabs you has soon has you enter the space. 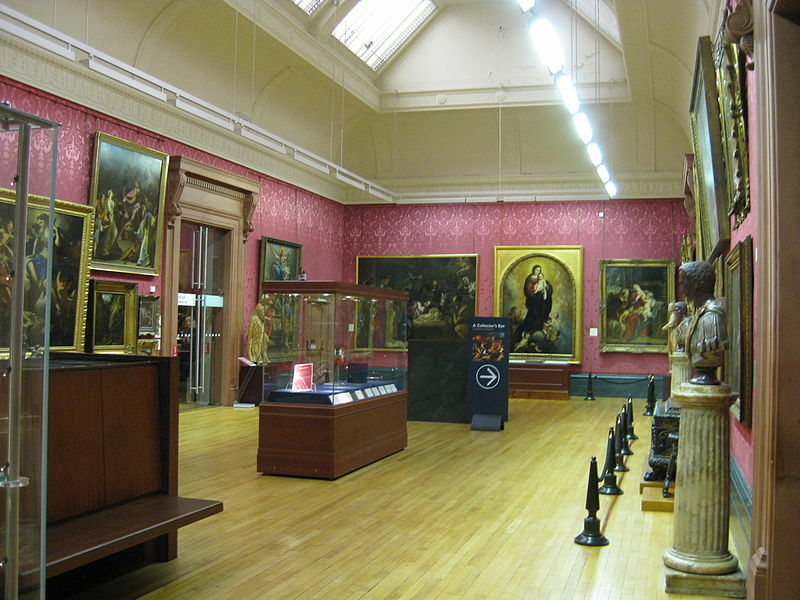 Have you been to the refurbished Joseph Wright Gallery at Derby Museum and Art Gallery? It looks fantastic! I am a little concerned to see a rather ‘school-teacher’ approach – breaking down the enlightenment into subjects like ‘the sky above us’. Derby was at the centre of the ‘scientific enlightenment’. Other aspects of the enlightenment, epitomised by the French revolution, are, to my mind, a quite different matter, and current ideas of freedom, equality, and humanism are not derived from science and are often actually in conflict with it. That aside, the scientific enlightenment was about ONE idea – causality, which is central to the invention of SCIENCE. It’s sad that we live in a world created by science, and yet are loath to call it by it’s name, and say what it is clearly (I hope I may influence you to do just that). Many top scientists today recognise a need to unify all of science (eg E O Wilson in ‘Consilience’), because Science today has become split into disciplines that feed off industry and are far removed from the idea of seeking truth without boundaries. Genetics research, for example, is largely funded by, and directed by, giant pharmaceutical companies, with ‘a cure for cancer’ often cited as it’s ultimate aim (some of us think we should first aim to understand life). While Herbert Spencer (arguably Derby’s most famous man in his day – I do hope you are not going to ignore him again) tried to understand life and its meaning, devoting his life to psychology and starting off the field of Sociology, sociology today is largely shaped by politics and business, while psychology is in turmoil, with many competing theories and little funding. At the same time, huge funding goes into developing pills to ‘cure’ so-called ‘mental illness’, which many, like me, think is largely caused by a society which runs wild while we make little effort to understand it properly. I recommend the recent book, ‘Herbert Spencer and the Invention of Modern Life by Mark Francis (surely a bold title!) for an up-to-date understanding of this Derby man. I could go on! But perhaps you get the idea. Please can you not stop thinking of ‘little boxes containing fascinating objects’ and head this project something like ‘Derby, the Enlightenment, and the Invention of Science’. Or even ‘Derby men – the inventors of Science and Industry’, or ‘Science began here’ (Joseph Priestley’s involvement in the discovery of Oxygen and combustion (along with Lavoisier) is arguably the single biggest bit of science that shifted us from superstition to science, and you have the painting ‘The Alchymist’, which comes very close to portraying this and the Lunar society to which these men belonged. The stars above us may be good material for Brian Cox and his hero Carl Sagan to go all ecstatic about, but causality is the big idea – everything is caused by prior events in a way that is unchanging and totally predictable (lets not get into quantum uncertainty here, it isn’t relevant most of the time.) Erasmus Darwin deserves a say too. Though not known for evolutionary theory, he understood it but was oppressed by religion – in Derby! It seems a pity that, although I have long taken a special interest in the Derby museum, and was responsible for much of what is on the ‘Derby Museum and Art Gallery’ Wikipedia page about the Enlightenment connection, I am unable to gleen much information about what the project actually entailed, simply because I missed the narrow time slot in which it appeared. So far as I can see, some money was gained from the HLF (how much?) and spent largely on artifacts (what artifacts, how much? ), and some sort of temporary exhibition was mounted. I will try to obtain the catalogue, but it would have been nice if some photos or video had been placed on a webpage as a permanent record of the exhibition, including the text of any notices. As things stand, based on my visit last week to Derby Museum, I have to say that what information did exist regarding the Enlightenment connection has now gone from the museum; a backward step to my mind, and what objects may have been purchased seem to have been hidden away with all the other treasures. Please don’t think that I am only here to criticise though! I will say that the new Joseph Wright gallery with cleaned pictures looks very nice; but it’s all about the art. I have long envisaged the possibility of the other large room being set up (the one currently wasted, in my view, on a collection of random artifacts) as a completely different kind of museum display, with the emphasis on MEANING and the origins of our modern world in the discovery of causality and the pushing out of alchemy, superstition and religion. I could say a lot more about this, and would be happy to try to help with suggestions for its realisation. Would such a project qualify for support from the HLF? Could such money be spent on the building of science exhibits linked to the paintings and the Lunar men (perhaps with help from local schools and colleges and even businesses), the making of videos, or whatever was required for a permanent exhibit based on meaning rather than aquiring (the modern disease of consumer society!)? In this respect I note that a major Electronics manufacturer recently provided a huge model of the earth containing thousands of LEDs for a public display. Perhaps a similar huge model of the moon above the room to add to the theme of ‘Enlightenment and the Lunar Society’. Briefly I envisage a story unfolding from left to right, with mention of Newton and Capernicus (with Orrery? ), followed by Erasmus Darwin (with microscope and a copy of Zoonomia (easily purchased) etc, and the story of how he dare not speak about his ideas in Christian society and so hid them in a poem. Then perhaps Herbert Spencer (survival of the fittest), with his famous portrait on the wall (such a serious looking, nervous man, yet a ‘celebrity’ in his day even in the USA) A print of Spencer hangs in the big pub on Irongate but I bet not many folk there know who he is! There should be mention of how his early attempt to get to grips with socialism and altruism took him down the wrong path (he say evolution as inevitably leading to a good socialist society), though evolutionary psychology has now brought us a proper understanding of how altruism actually developed out of evolution ‘red in tooth and claw’. This is amazing stuff – relevant to every major current debate, and every child should know of it. Then the Lunar Society with ‘Bird in the Airpump’ (the paintings could be realistic digital copies, to avoid security problems and to enable the real ones to still be lent out). Maybe reference to oxygen, steam power, and the roots of global warming. Then Charles Darwin and ‘Origin’. The ‘Alchymist’ painting alongside the modern chemistry of phosphorus and its role in lighting (CFL Fluorescent and even LED as used to light the gallery now) and so on. The artifacts should be chosen, made, or purchased to fit the story; to make the exhibit educational and inspiring, not to put in storage! There seems to me to be a great need for places that people can visit for a day out, yet those that exist do not tell a story. Even the London science museum does not do so very well, and is so wide-ranging as to be exhausting. People soak up pictures, for something to do on a rainy day, but come away not greatly changed in their understanding of the world, science and society. There is surely hunger for this stuff, properly presented, and I suggest that Derby could propose, and realise a permanent project to change this. A project proposal to spread the seeds of a ‘Neo-Enlightenment’ even, in museums throughout the country! Any takers? Derby was obviously of great significance during this period but must also be considered has part of an incredible network of towns and cities. A network in the true sense and a modern sense. Places has diverse has Liverpool, Derby, Lichfield, Warrington, Stafford, Birmingham and personalities such has Erasmus Darwin, Josiah Wedgwood,Matthew Boulton, James Watt, Ben Franklin, Joseph Priestley and the rest of the Lunar group and the significant artists. I think a wider network could be attempted for a new project taking in Birmingham, Soho House Darwin House, The Potteries Museum the Wedgwood Museum and some Liverpool Institutes. There must be great scope for interpreting the subject with its relevance to modern science and Industry, collaboration and innovation, it could be very relevant and provocative. Collaborations must be the way to go? I am no academic. But do work in a museum. PS. Have just purchased the new book. ‘The Enlightenment and why it still matters’. Anthony Pagden. Any Reviews? Collaboration is fine when it comes to sharing good ideas, but I am concerned that something is being forgotten, especially with the move away form council ownership and control to museum trusts (which is controversial). Museums were until very recently owned by a council, and run for the benefit of people who paid their rates or council tax, (Derby Museum has only just moved to a trust). Museum collections arose from purchases by the council, at ratepayers’ expense, or through gifts, as with the Alfred Goodie collection from benefactors who thought they were giving their collections to the people. They thus rightly belong to the people of a specific county or city, and those people should have the major say in how their museum is run. When museum staff get together to plan how they will win the latest grant, and the ownership of hugely valuable artifacts gets blurred, we move a step closer the a future where museums become a commercial venture alongside other big businesses, and the public are lulled into forgetting that they own them, or should do! Even a primary school, with much smaller funding and capital, is answerable to its board of governors, on a regular basis, yet I see no equivalent with museum trusts. The trustees appear to me to be a repeat, on a smaller scale, of those who govern us from Brussels without voter mandate. The assets of a museum such as Derby, amount to hundreds of MILLIONS of pounds. I read that eighty percent of museum artifacts are in storage and not on show to the public (or even known to exist), yet the alleged aim of a museum trust is to take care of its artifacts AND to make them available to the public. Despite great effort put into acquiring more artifacts for a future ‘multi-county museum consortium’ run by people not answerable to the public, and even into the staging of temporary exhibitions (showcases to attract yet more funding of acquisitions perhaps), I see no improvement in the the way museums permanently operate in their role of serving the public. Most, for example, seem to be fighting the public’s desire to have hi-res photographs online and in the public domain (most paintings and artifacts are copyright free, yet the museums seek to control their use). They claim the need to make income out of prints etc that they sell, and yet this is only a tiny business that they don’t even begin to exploit (eg postcards of Joseph Wright paintings in Derby Museum but where are the large high quality reproductions or even files on flashstick memory). The copyright battle is one that has been fought and lost in the music industry, and is now being fought in the film industry and by the BBC (who’s situation parallels the museums in that the making of most of its programmes was paid for by the public!) The Amsterdam museum has decided to put hi-res images in the public domain, arguing that this is the way to maximise not only enjoyment but creative re-use (I agree), while the National Portrait gallery had all it’s images put on Wikipedia a few years back by a criminal, but fought in court to take them back. Norfolk museum has fought against going to a trust. There is much at stake here so far as the public are concerned, apart from just the nice idea of collaboration, and I hope that I can make more people aware of that fact. The book costs £10 and is available from Buxton Museum and Art Gallery and I think they have copies for sale at the Record Office in Matlock too. If you are interested in a copy via mail order then we can sort that out too. There are also copies available at Bakewell, Belper and Buxton Libraries so you could loan it from there as well.